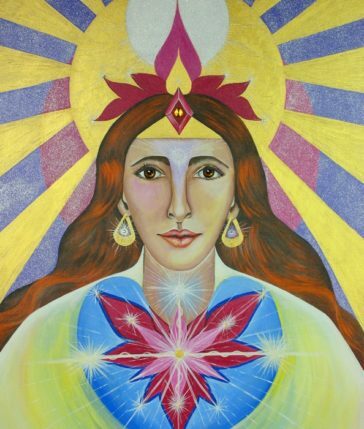 Lady Rowena comes through the 3rd Ray with the Holy Spirit, to bring gentleness and harmony on the spiritual path. Brings divine balance, harmony to self and planet. The Lady Rowena Aura Spray comes through the 3rd Ray with the Holy Spirit, to bring gentleness and harmony on the spiritual path. She is in constant prayer and she asks for you to pray with her for a situation for yourself, others or the world. The biggest commitment she can bring is self-forgiveness to all situations and forgiveness for others with compassion. These Aura Sprays were channeled to bring through the true essence of each Ascended Master, bringing a stronger, clearer connection. Use the Lady Rowena Aura Spray to bring through the I Am Forgiveness and Compassion for self, bring you gentleness and sweetness of Love. Bring divine balance, harmony to self and planet. Contents: Pure essential oils, rain water and crystal.